In just 2 years through this program, you'll master injury prevention, injury evaluation and diagnosis, emergency care, treatment, rehabilitation and organizational administration. A career in athletic training provides you with numerous opportunities to use your skills and knowledge to improve the well-being of others. If you have an undergraduate degree in an area other than athletic training, but wish to gain requirements to become a certified athletic trainer, the Master of Athletic Training program is for you. In just two years, you will master every aspect of athletic training, including injury prevention, injury evaluation and diagnosis, emergency care, treatment, rehabilitation and organizational administration. Metro Birmingham affords students with a number of diverse clinical opportunities in major athletic training and health care facilities as well as high schools, sports medicine clinics and more. Our faculty and clinical preceptors are passionate about teaching and helping you achieve your professional goals. Our cohorts are small and faculty are readily available to you. 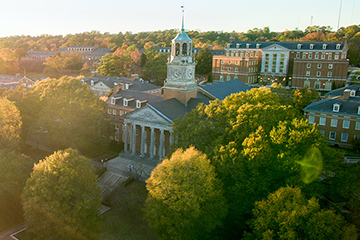 At Samford, we are committed to your success and we look forward to helping you pursue a career as a certified athletic trainer. The application must be complete and ready for review. The steps below outline the application process for the Master of Athletic Training program. To apply, you are required to submit both an application through ATCAS as well as the Master of Athletic Training Supplemental Form. Pay the initial service fee of $85 when submitting the ATCAS application. Obtain three letters of recommendation from 1) current or previous professor; 2) supervisor; and 3) an Athletic Trainer. These letters of recommendation must be submitted through ATCAS. The references should attest to the applicant's academic ability and potential. Self-report GRE scores to ATCAS and send official scores to Samford University Code 1779. Please complete application in its entirety. Exceptions to any admission requirements will be handled on an individual basis. Admission to the Master of Athletic Training program is competitive. Baccalaureate degree or higher from a regionally accredited college or university (degree in any field), or be enrolled in your senior year of undergraduate study. *Conditional admission: A completed bachelor’s degree is required prior to enrollment, as evidenced by a final official college/university transcript. Applicants may receive a conditional acceptance with a letter from the registrar stating they have in fact completed the requirements for the degree. The “conditional” status is removed once an official transcript is received. Achieve a “C” or better in all pre-requisite courses from a regionally accredited college or university. All pre-requisite courses must have been completed within 10 years prior to application. *May substitute two semesters of a combined Anatomy and Physiology course. International applicants or American citizens who learned English as a second language must score at least 550 (paper), 213 (computer) or 80 (Internet) on the Test of English as a Foreign Language (TOEFL). International applicants must also obtain a score of 27 or better on the iBT speaking subtest of the TOEFL or a 50 or better on the Test of Spoken English. For more information, please visit www.toefl.org. We cannot issue an I-20 for this program at this time. 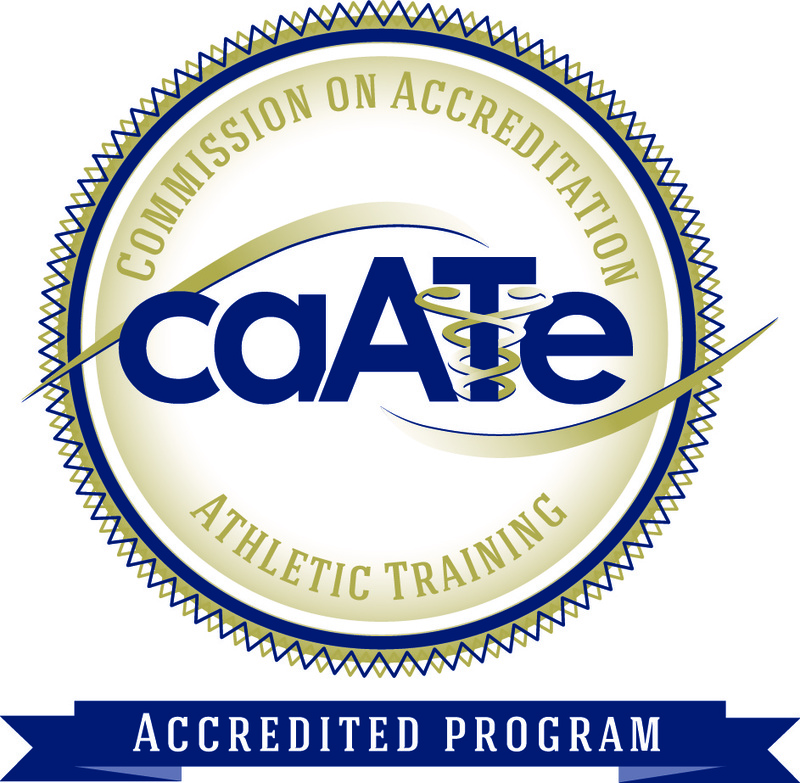 The Graduate Athletic Training Program at Samford University is accredited by the Commission on Accreditation of Athletic Training Education (CAATE). The CAATE is recognized as an accrediting agency by the Council of Higher Education (CHEA). After the comprehensive review for initial program accreditation, the program was granted the maximum 5-year accreditation for new programs. The next comprehensive review is scheduled for 2022-2023 academic year. At this time, data is only available for 2017-2018 as initial accreditation was just granted. In the athletic training program, your education will extend far beyond the classroom. 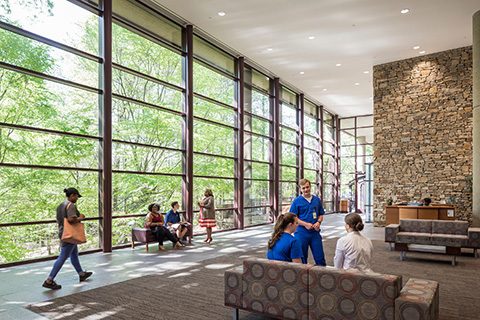 You’ll take what you learn in the classroom and apply it to a variety of clinical settings around Birmingham, one of the country’s most advanced health care communities. You’ll gain experience in a variety of environments, including high school athletic departments, university athletic departments, sports medicine clinics, rehabilitation clinics and physicians’ offices. The vision of the athletic training education program at Samford University is to create committed, prepared servant leaders, recognized for excellence in athletic training. The mission on the Samford University Athletic Training Program is to engage students in an interprofessional academic and clinical learning community by promoting Athletic Training excellence in health care through experiential teaching, discovery learning and evidence based practice to fulfill our calling to Christian service. The program seeks to recruit, retain and place highly qualified students into the Master of Athletic Training program. Recruit, admit and retain highly qualified students. The program seeks to foster an environment of cultural diversity and develop culturally competent practitioners who can meet the health care needs of a diverse community. Recruit and admit underrepresented groups. Provide curricular and co-curricular educational programming related to cultural competency. The program will use innovative teaching and learning techniques in the delivery of athletic training educational content. The program will develop leaders of athletic training who are competent in content knowledge and the practical skills of an entry-level athletic trainer. Students in the program will develop an appreciation for role of continuing education and life-long learning. Students will be able to demonstrate the content knowledge, practical skill application and evidence based practice of athletic training. The program will develop collaborative ready practitioners through curricular and co-curricular interprofessional education and interprofessional clinical experiences. The program will develop faculty to provide a high quality athletic training educational experience. Program faculty and students will develop engage in research and provide professional presentations. The program will provide local, national and international noncredit service opportunities.